It’s been a busy year for us at Vets and Their PetsSM – in the last twelve months we’ve gone from inception, and ‘someone should do something’ regarding Valley homeless / in need Veterans with pets, to a fully formed organization making a difference. It goes to show that ‘it can be done’ with drive, motivation, tenacity, and support from valuable volunteers and donors like you! 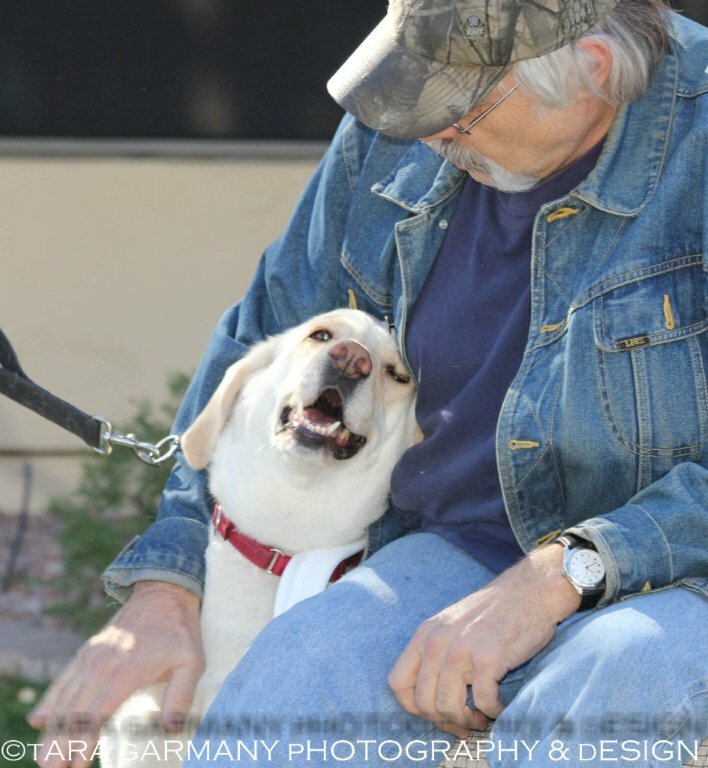 100% of all dollars received through donations go directly to help Arizona’s homeless Veterans’ pets receive medical care, vaccinations, foster care, permanent housing, and transportation until they are reunited. Please join us in this great cause! End of year donations: Please consider making a year-end (or New Year) donation to help support Vets and Their PetsSM in 2012. Help make the dream of self reliance and independence possible for Valley Veterans, without having to give up their beloved pets, who so often offer therapeutic and emotional support. We can do so much more, but not without help from people like you. (Please indicate ‘Vets and Their Pets’). Many thanks! Resolve to make a difference: Consider making a New Year’s resolution to help Valley Veterans; giving back to those who have served in the U.S Military. We have a number of hands-on and administrative positions available that directly help Veterans and their pets in need. 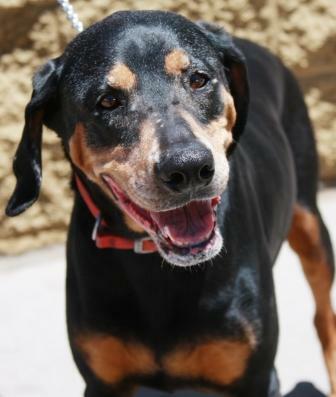 Please contact us at: Vetsandtheirpets@Valleydogs.org. Gary and Libby: U.S. Veteran Gary lost his job, his wife, his home; and a major injury cost him his health. Libby (a yellow lab) was all Gary had left, and she was worth fighting for. Gary knew that VA services were available to help, but without someone to take care of Libby, Gary made the only decision he could. They remained together, homeless. Gary and Libby lived on the street until Vets and Their Petssm was formed, inspired by their story, and rallying hundreds of people to take action. Vets and Their Petssm found temporary foster care for Libby, while Gary received the medical care and VA transitional housing he needed. Today, Gary and Libby are reunited, and living in their own apartment. … Libby is even working on her Canine Therapy Badge, allowing her to visit the VA hospital! Sirius and Licorice, two wonderful lab mixes originally under foster care with Vets and Their Petssm, had their teeth cleaned, veterinary care, and some additional training by Vets and Their Petssm animal behaviorist. Their Gulf War Veteran mom had extensive back surgery at the VA hospital, during their initial foster stay. 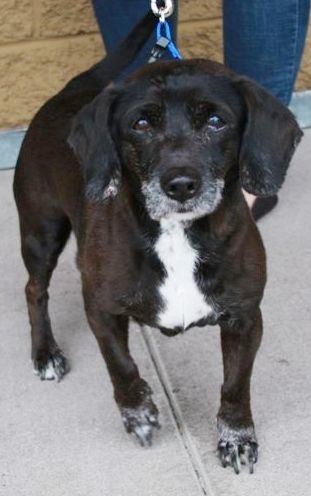 She received updates on Sirius and Licorice whenever possible, and looked forward to being reunited with them when she recovered. Unfortunately, their Veteran mom never left the VA; she passed away and both dogs had to be placed (at the request of the family) in permanent homes. Licorice is doing well, is happy and adjusting to his new life; however Serius remains available for adoption. Serius has had the advantage of having the Vets and Their PetsSM animal behaviorist/trainer as a temporary foster. 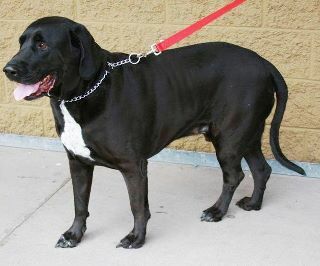 If you’ve ever wanted a wonderful, well behaved black lab mix with obedience training, this is your opportunity. Please contact us if you are interested in adopting Serius, and giving this wonderful dog the new forever home he deserves. Thank you!!! Contact us at: Vetsandtheirpets@valleydogs.org. Tiffany ‘s move to Tampa… In June, 2011 Tiffany, a chocolate lab mix, took the LONG flight home to be reunited with her Veteran dad, Mark, in Tampa, Fl. She did well on the flight, and received gold stars from the flight crew! Dad relocated to Florida for rehabilitation (completed late June), and he and Tiffany live with Dad’s parents, who love their new family member! Roxie and Buddy: Roxie and Buddy are large, older, mixed breed dogs, permanently given up after their Veteran dad lost his job, home, and suffered a heart attack. He loves them very much, and takes comfort in knowing that they’re doing well in their new homes, receiving lots of love, attention (and a few extra treats!). Lucky, a Jack Russell mix, was neutered, micro-chipped, and vaccinated in May 2011; Tiger, a domestic cat, had a complete set of vaccinations in June 2011; and Russo, a mixed-breed dog, received vaccinations and was neutered in July 2011. Vets and Their PetsSM facilitated these services free of charge to grateful Veteran owners, while each works diligently to achieve freedom from homelessness. and permanent housing. 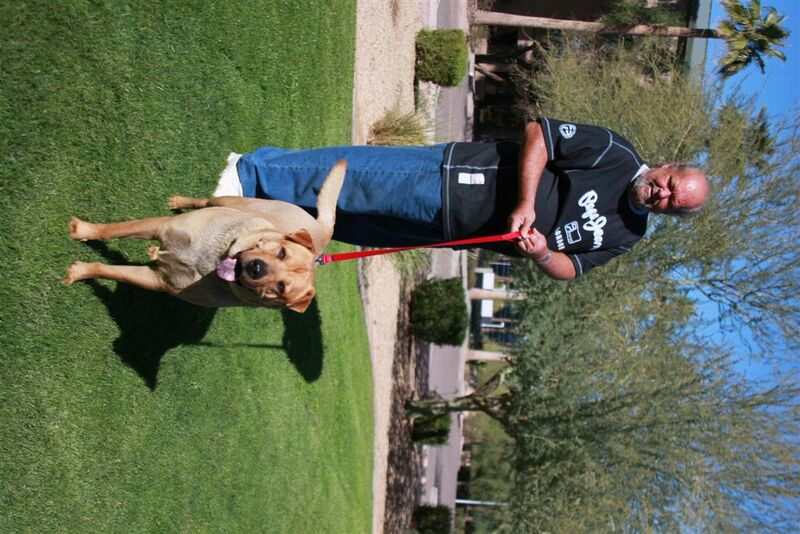 Their Veteran dad is undergoing medical care through St.Vincent DePaul in Phoenix, and has asked Vets and Their PetsSM to help find a permanent home for one dog, and foster care for 3 months for the other two. 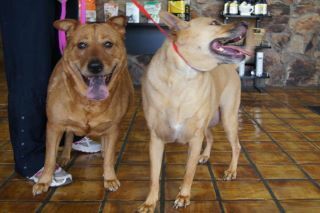 These are very well loved dogs, and their Veteran dad can’t wait to be reunited with them! Unfortunately, dad can’t handle 3 dogs once he is up and around; sadly, either Maria or Princess needs a permanent new home. These are truly wonderful dogs, please contact us if you, or someone you know can offer foster care (3 months), or a new home. Contact us at: Vetsandtheirpets@valleydogs.org. Billy, an Air Force Veteran, needed foster care for his dog, Copper, while receiving medical care at the VA Medical Center. To support Billy, Vets and Their PetsSM had Copper checked by a veterinarian, spayed, vaccinated, and provided temporary foster care, all free of cost. “Because I’m a Vet, he did it out of the charity of his heart,” Billy said, referring to VaTP Executive Director Michael West’s frequent trips bringing Billy to visit Copper during foster care. A homeowner for almost 35 years, Billy lost his home, job and Copper is all he has left. Unfortunately, what little Billy had, was stolen (hidden, on the street) while he was hospitalized. VaTP’s Michael West helped Billy get new clothes via the generosity of MANA House, and also ensured that Billy had a warm place to stay for Thanksgiving at a local motel that accepted dogs (all on his own dime), and a warm meal via the VA. “He’s a 200% guy, everybody he helps, their heart should go out to him”, said Billy who, with Copper, recently moved into a rehabilitation facility perfectly suited for them. As part of a pilot program facilitated in part by Vets and Their PetsSM, Copper is permitted to stay with Billy, something never before done at this residential facility. ‘Little Bit’ is an (approx) 1 year old indoor kitten in need of temporary foster care (thru May 2012), as her Veteran dad gets back on his feet. Little Bit is a friendly, very sweet indoor cat (‘Dad’ requests she stay indoors). Vets and Their PetsSM has had the kitten spayed, vaccinated (up to date), and is searching for a special foster parent who can care for her through May. …What a wonderful way to start the new year, by helping a Veteran and his beloved kitten! Please contact us to temporarily foster a Veteran’s kitten at: Veteransandtheirpets@valleydogs.org. Thank you for supporting Vets and Their PetsSM, an Arizona based non-profit dedicated to helping homeless Veterans through foster care and veterinary treatment of their pets. These services are provided to Veterans free of charge as they pursue medical treatment, transitional housing, and get back on their feet. …but we can’t do it without the support of volunteers, and your donations. To make a Tax Deductible End-of-Year Donation, please visit our parent organization, Valley Dogs Rescue, a 501(c)(3) non-profit (EIN: 26-0896950): http://www.valleydogs.org/donate.html (Please indicate ‘Vets and Their Pets’). Volunteers: Our volunteers help Veterans regain dignity in their fight to survive homelessness, without the necessity of having to give up their beloved pets through the process. We have a great team with over 40 years of combined animal rescue experience, and need the support of people like you, who understand the value of pets to the lives of Veterans. Positions range from events coordination and support, to administrative, and organizational duties. To volunteer, please contact us at: Vetsandtheirpets@valleydogs.org for additional information and a list of available positions. Pet Fosters: We also always are in need of pet foster parents to help support the pets of Veterans in need (time frames vary). 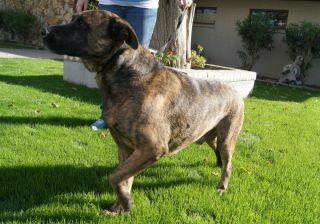 Please contact us at: Vetsandtheirpets@valleydogs.org. Sponsor a Veteran – Please consider sponsoring a Veteran in need. Any amount you can donate (individually, through work, or with a pool of friends/co-workers) will go to help a homeless or Veteran in need to support them and their pet through safe housing, food, and clothing. For as little as $400 a month, a homeless Veteran can have housing that will allow their pet to remain with them; a relatively small amount compared to the relief it brings. We have several Veterans we’re working with through the VA who desperately need permanent housing with their pets; a few months of support may be all a Veteran needs to get back onto their feet, and escape the perils of homelessness. Please contact us for further information on sponsoring a Veteran. Also, consider offering a rental property to a Veteran in need (with a pet) for days, weeks or months, at low or no cost. Contact us: Vetsandtheirpets@Valleydogs.org. We look forward to the new year, and helping more homeless and in need Veterans and their pets! Thank you, and Happy New Year, from the team at Vets and Their PetsSM! This entry was posted in Billy & Copper, Dog Health and Nutrition, foster tails, Gary & Libby, Helping Others, Military, puppies, Sponsors, Uncategorized, Veteran, Vets and Their Pets and tagged Air force veteran, Arizona news, fostering dogs, military, pets, phoenix, Phoenix volunteering, veteran, Vets and their Pets, volunteer, year end donation. Bookmark the permalink.